You are currently browsing the tag archive for the ‘Scripting’ tag. Sooner or later, if you are creating gadgets that do useful things, you will find the need to have some communication between scripts in different prims. There are two basic methods of doing this. One is to use the llMessageLinked() function, the other is to use a chat channel. In this article I am going to look at using llMessageLinked, but it is important to understand when to use which option. Let me start, then, by briefly looking at the chat channel option. The main advantage of this option is that the prims which contain the communicating scripts do not have to be linked. This allows prims to communicate across an entire sim (note that there is no easy way to communicate across different sims short of using an external web-service of some kind). The main disadvantage, and this is a biggie, is that using a chat channel normally requires the scripts to set up Listeners which are constantly active. 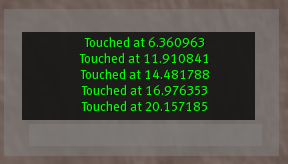 This adds to simulator lag, and is something that therefore should be minimised. If your scripts absolutely need to be run in unlinked prims, or in prims which are in separate objects, however, the chat channel option is probably the only way to go. However, if your scripts are part of a set of linked prims, the llMessageLinked function is a better option, and it is this option that I am going to cover. LINK_ALL_OTHERS – this sends the message to all other prims except the current one. LINK_ALL_CHILDREN – this sends the message to all prims which are children of the root prim. LINK_ALL – this sends the message to all the prims in set, including the one that the message is sent from. You would then pass the appropriate value to llMessageLinked. The third parameter is a string. This can be used to pass parameters to the receiving scripts. If you only need one parameter, this is simple. Remember that you can use LSL’s type-casting to let you put (for example) numbers into this parameter. I’ll show an example of this later. The final parameter is a key. At the receiving end, the message() function will be called when a message is received from an llMessageLinked() call. It is passed five values, the first of which is the number of the sending prim, and the other four are the four parameters from llMessageLinked(). As an example, lets create a system whereby touching the root prim will move the linked prim. In itself, this isn’t exactly useful, but it could be used as the basis of (for example) some kind of ‘sliding door’ system. Create two prims, and link them together. Create a new script in the root prim (note that if you create a script while a link set is selected, the script will automatically be created in the root prim). In our script, we will have a setting which tells us if the other prim is in its original position. If it is, when the owner touches the root prim, we move the other prim a short distance away. If it is not, we will move it back. // Only respond to our owner. // Tell the other prim to restore its original position. // that we are type-casting the distance to a string. // Check that this came from the main script. // the string parameter to a float. Save the script, close the Build dialog, and test the object. You should find that this works, and touching the object will move the second prim. Touching it again will move it back to its original position. 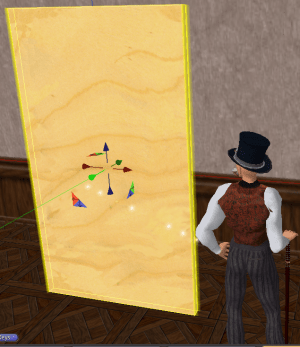 unlink and relink the prims while you are building your object, as is quite likely). 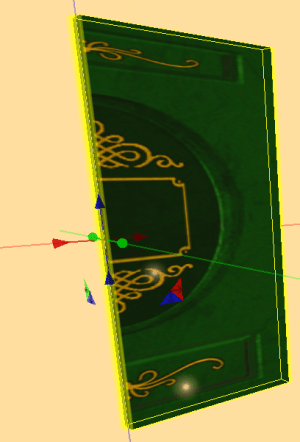 Also, the string that we are using to pass a parameter to the linked prim seems a little restrictive. In the next article I’ll look at both of these issues, and some possible solutions (though as a hint for the parameters, remember that you can typecast a list). 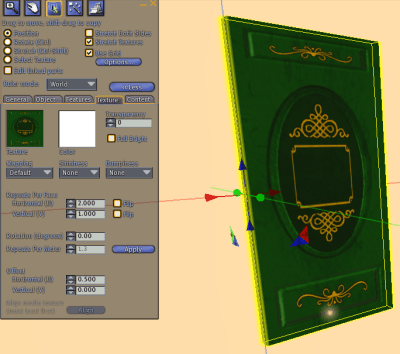 Sometimes it is useful to be able to change or apply textures through a script. Imagine, for example, a button or switch where you want to change the appearance when the user clicks on it. There are a number of functions in the LSL library for dealing with textures. In this post I will cover the most basic of them. I’ll go into more details in subsequent posts. Applying a texture to a prim is probably the simplest thing that can be done when scripting textures. 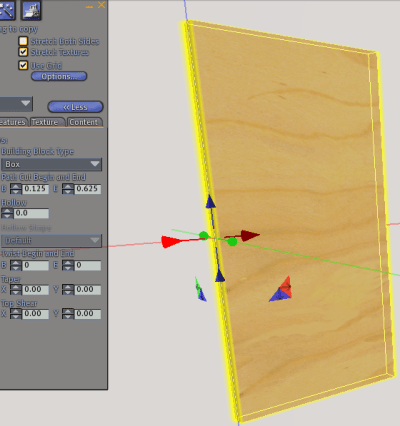 You can use the llSetTexture function to do this, which simply needs the texture, and the side to apply the texture to. I’ll discuss prim sides a bit later, but for the example I’ll use the ALL_SIDES constant, which will apply the texture to all sides of the prim. There are two different ways of specifying the texture. You can either use the name of the texture, or you can use the asset UUID of the texture. 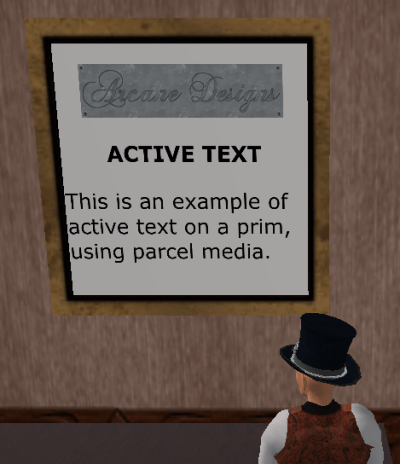 To use the name, the texture must be included in the prim’s contents (just drag the texture from your inventory into the contents list of the prim). 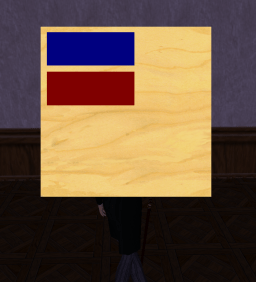 The advantage with using the UUID is that the texture does not need to be in the prim’s inventory, it only needs to exist somewhere in SL’s asset server. Note that the asset UUID in the above code is a real one, and will get you a “test card” pattern that you can use for testing offsets (see below). Aside: What happens if you upload a texture into your inventory, get the UUID for it, then delete the texture? 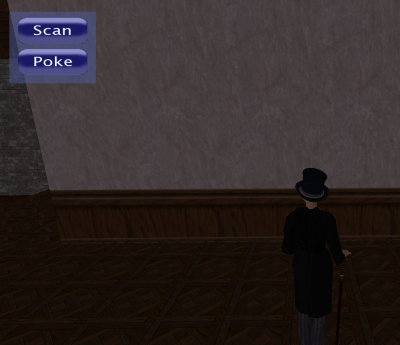 Will the texture vanish from Second Life altogether? No, it won’t. Once a texture is uploaded, it is permanently added to the asset server, and deleting it from your inventory has no effect on it — you simply won’t be able to refer to it by name any longer. It will still exist on the server, and you can still use the UUID to refer to it in a script. If you hollow the cube, side 5 is the inside (yes, all four interior sides count as a single side), and the bottom becomes side 6. Working out the side numbers for a rotated cube, or for a more complex prim, gets rather more difficult, and can involve a lot of trial and error. A better way is to use the debug menu. If you don’t have the debug menu displayed, press CTRL+ALT+D to reveal it. To get information about one side of a prim, tick the ‘Select Texture’ option in the build dialog, select the prim side that you want to know about, then press CTRL+SHIFT+ALT+T. Information about the prim side will be displayed, including the side number. Once a texture is applied, you can scale and offset it using the llScaleTexture and llOffsetTexture functions. The horizontal and vertical parameters taken by these functions are exactly the same as those on the texture tab of the build dialog, so you can use the build dialog to help find the appropriate values. If you have already worked with textures you will know that a scaling of 1.0 x 1.0 will fit the texture to the size of the prim, whereas higher values will tile the texture, and lower values will only display part of the texture. 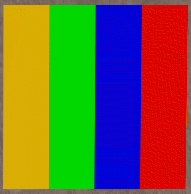 For example, a value of 0.25 will display one quarter of the texture, stretching it to fit the prim. Which quarter of the texture is actually displayed depends on the offset, and the way in which the offset works is not immediately obvious. Basically, the offset is from the centre of the texture. 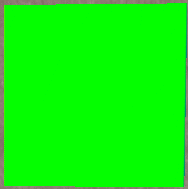 An offset of 0.0 x 0.0 will therefore centre the texture. How other offset values affect the texture is easier to explain using an actual example. Try changing the horizontal scaling to 0.25, and the horizontal offset to 0.0. 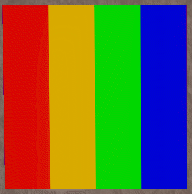 This produces the following, which is actually displaying the centre of the scaled texture, showing half of one band of colour, and half of the other. 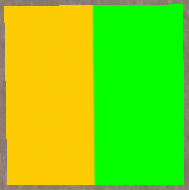 To offset it so that we are centred in a band of colour, we need to use an offset of 1/8, or 0.125. Set the horizontal offset to this value, and we get a single band. Obviously, this only works when the horizontal scale is 0.25. Using scaling and offsetting to select just one portion of a texture can help to make more efficient use of textures, especially if you have a prim which needs to sometimes change appearance — you can pack the different images into a single texture, and select the appropriate part of the texture using the scale and offset. The alternative method is to have multiple textures, but this means that when the texture is changed, there is a delay while the new texture is loaded. Using the scale and offset method, the texture is already fully loaded, and the prim changes appearance almost instantly. I’ll cover this more in a later post. Second Life Script Kiddies Start Here! I’m not sure why, but this struck me as oddly amusing. It is also, however, very clever, and immediately useful for anyone who is new to scripting. May I present Ann Enigma’s LSL Script Auto-Generator! In fact, even if you are not new to scripting, but you want to quickly generate a relatively simple script (possibly as the starting point for something more elaborate), this might well be useful.